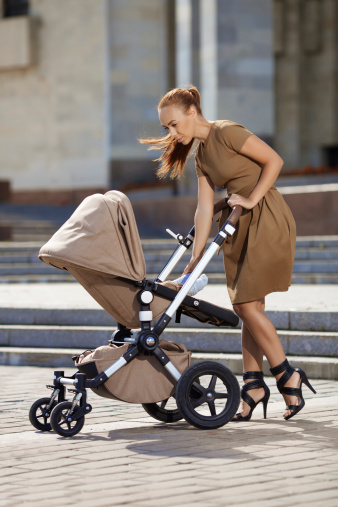 If you’re feeling overwhelmed at how many brands and options there are for prams and strollers these days, we can help. Here are the most basic questions you need to ask yourself when you’re shopping around and test driving a pram or stroller. You don’t need to worry about this too much since Australian standards are fierce and shops can’t sell unsafe products. 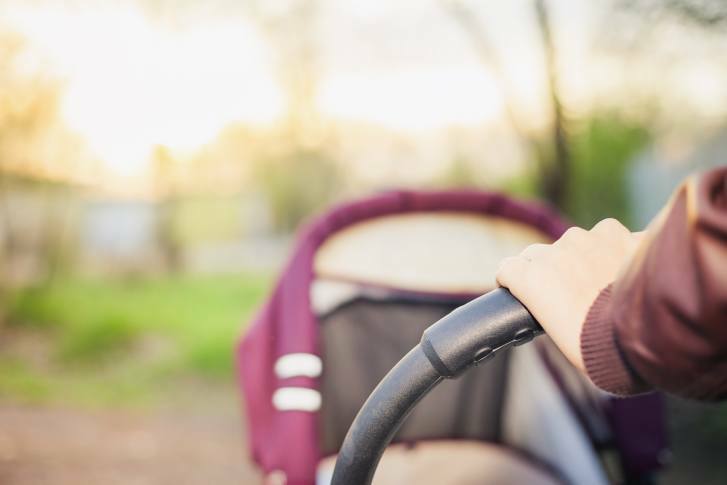 Your pram or stroller is required by law to have a harness, a parking brake, a tether strap, safe head coverings, moving parts out of child’s reach, and safety warning labels. 2. Can you steer the beast? 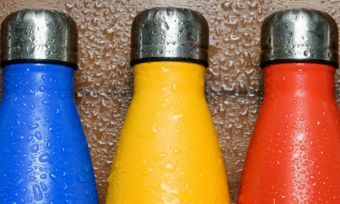 Think tight spaces – buses, supermarkets, and even the gym for your baby’s swimming lessons. No to mention shops that have narrow aisles (more shops than you’d think) and cafes. 3. How heavy is it? Think about how much it weighs and whether you’ll be able to manoeuvre it easily in a pinch. You definitely need to be able to tip it back to mount the curb, and it shouldn’t hurt your back when you lift it to put it in the car boot. You might even need to carry it up and down stairs. 4. How tall are you and your partner? Is it comfortable for you to push the pram around, or are you leaning over and straining your back? Look for adjustable handles if your partner is a different height to you. Ask a sales assistant to show you how to fold and unfold the thing. Then practise it a couple of times by yourself. Easy? Hard? Impossible? You need to know before you fork out the cash. Newborns need a pram with a lying-flat function. From 6 months old and up, your bub can use a stroller or pram. Most prams/strollers are a combined thing now, so not to worry. Just ask the sales assistant how you convert it between the two states. You need to pick a budget and stick to it. There are a lot of prams and strollers out there, and they all have basically the same design, function and features. You do not need to spend a fortune. What did you spend on your pram? Prefer a more old-fashioned approach? You might not be alone. More than 1 in 3 Australian parents we surveyed said they would rather use a baby carrier or sling, to keep their baby closer to them. And 85% said a baby carrier or sling gives them better freedom to do what they want and go outside the home.